Organizational leaders should always be looking for ways to improve ROI while building trust, commitment, and loyalty from their consumers. Having gotten to the top in the company, you certainly have business savvy, but maybe it's time to take things to the next level. 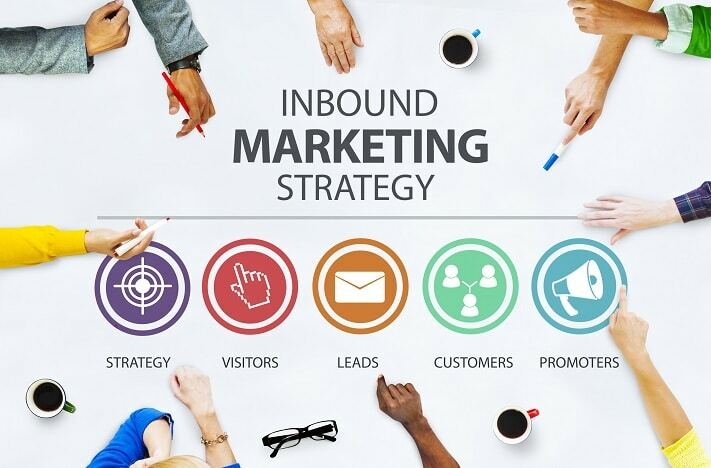 There are some inbound marketing strategies that can help you develop closer relationships with your Customers that will drive a greater value of your overall investment. You have your business to attend to. You have a company to run, and your time is valuable. Every moment that you have to use to examine what is not working with your current strategy is a moment that you could have used elsewhere in your organization. Outsourcing your inbound marketing initiatives is one viable solution that can give you back some time in your day while ensuring that experts in the subject are working on your project. Third-party inbound marketing firms work to understand their clients' habits and problems. They then focus on providing solutions that improve deficiencies and increase efficiencies. A single solution isn't comprised of a single factor. In theory, your goals are simple: you want to increase customer trust and commitment. In a perfect world, you could simply tap a single button, and everything would be, well, perfect. Unfortunately, complex problems tend to require complex solutions, and there is rarely ever a one-size-fits-all solution. That said, third-party inbound marketing experts often offer a single menu of solutions that simplify your situation into a customized and concise plan of action. Each of your Customers is unique. Your clients' companies are just as unique as your own organization. They each have their own needs and goals, and if you approach each client as though it's just like the one before it, you're going to be hurting yourself in the long run. When you work with a qualified inbound marketing firm, you'll the have chance to better learn who is using your company's services, and you'll be able to make the most of your B2B advertising dollars. This will also you to create content that targets the people that are most likely to convert to clients. The numbers matter. You probably already know that numbers matter in your business. Whether you're talking about money or conversion rates, a quality inbound marketing firm will give you the tools to optimize your content marketing strategy (CMS). What's working? You should do more of that! What's not working? You should analyze the content strategy that's currently in place so you can rework it and achieve optimal results. An effective inbound marketing strategy takes into account as much of your business as possible, and works to create customer trust and loyalty by knowing what those people and businesses are looking for. You'll gain a greater understanding of your customers' habits, needs, and desires. By utilizing best practices and proven analytics, you can create an easy-to-use system that makes sense and makes the most of your investment money. When it's time to reevaluate your inbound marketing strategies, keep in mind that outsourcing your needs could end up giving you great benefits in the end. Hello! I've been reading your blog for some time now and finallygot the courage to go ahead and give you a shout out fromHuffman Texas! Just wanted to tell you keep up the good job! Thanks for sharing your info. I really appreciate your efforts andI am waiting for your next post thanks once again.